There's never been a better solution for knife storage, until now. 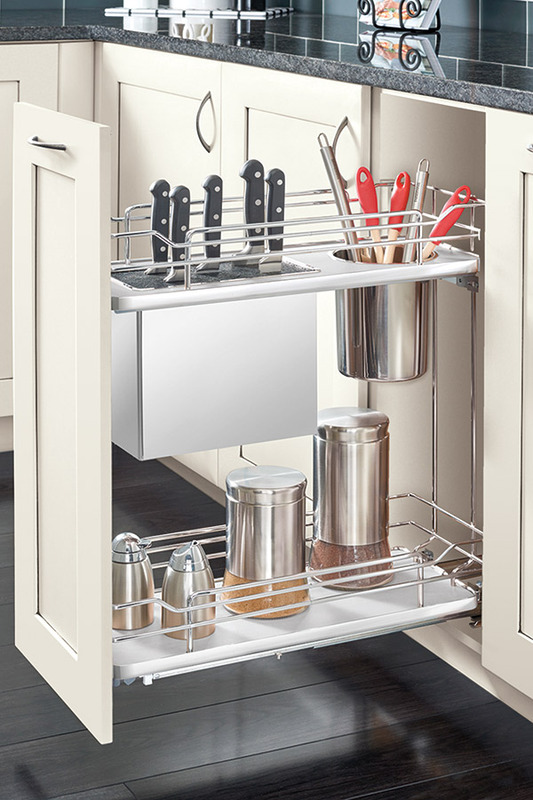 Filled with flexible rods, the stainless, self-healing knife storage bin in our Base Knife Holder Pull Out Cabinet keeps cutlery in place and is dishwasher safe for easy cleaning. Available in both metal and wood options.